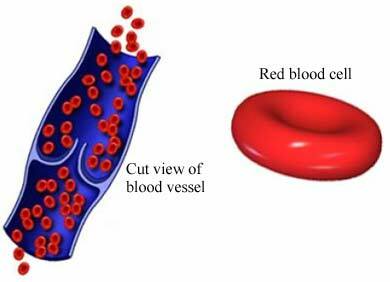 Anemia is a low level of red blood cells (RBC). RBCs carry oxygen from the lungs to the rest of the body. Lower RBC counts mean the body is not getting enough oxygen. Iron makes a critical component of red blood cells. Iron levels will need to be brought back to normal. The body will be able to increase RBCs as iron levels improves. This will relieve the anemia. Slow-release or coated products may be easier on the stomach. However, the iron may not be absorbed as well. Some include vitamin C. It can help to improve absorption. It could make iron level too high. Iron can also be given through an injection. Iron stores may be fully restored over 1 to 2 injections. Your doctor may recommend that you feed your baby iron-fortified cereal. Eat a diet rich in iron . Include iron-rich foods such as oysters, meat, poultry, or fish. Avoid foods that interfere with iron absorption. Black tea is one common iron blocker. Starting at 4 months, breastfed infants need an iron supplement. Once they are older they can get iron from other sources, like cereal or fortified formula. Bottle-fed infants should get a formula that is fortified with iron. Premature infants may need extra iron by 1 month of age. Iron. EBSCO Natural and Alternative Treatments website. Available at: EBSCO Natural and Alternative Treatments website. Available at: http://www.ebscohost.com/biomedical-libraries/natural-alternative-treatments. Updated December 15, 2015. Accessed September 29, 2017. Iron deficiency anemia in adults. EBSCO DynaMed Plus website. Available at: http://www.dynamed.com/topics/dmp~AN~T115986/Iron-deficiency-anemia-in-adults . Updated July 12, 2016. Accessed September 29, 2017. Iron deficiency in children (infancy through adolescence). EBSCO DynaMed Plus website. Available at: http://www.dynamed.com/topics/dmp~AN~T435307/Iron-deficiency-in-children-infancy-through-adolescence . Updated November 21, 2016. Accessed September 29, 2017. US Preventive Services Task Force. The Guide to Clinical Preventive Services: Report of the United States Preventive Services Task Force. 2nd ed. Philadelphia, PA: Lippincott Williams & Wilkins; 2002. US Preventive Services Task Force. The Guide to Clinical Preventive Services: Report of the United States Preventive Services Task Force. AHRQ Publication No. 06-0588; Rockville, MD: 2006. 10/12/2010 DynaMed Plus Systematic Literature Surveillance http://www.dynamed.com/topics/dmp~AN~T435307/Iron-deficiency-in-children-infancy-through-adolescence : Baker R, Greer F, Committee on Nutrition American Academy of Pediatrics. Diagnosis and prevention of iron deficiency and iron-deficiency anemia in infants and young children (0-3 years of age). Pediatrics. 2010;126(5):1040-1050.